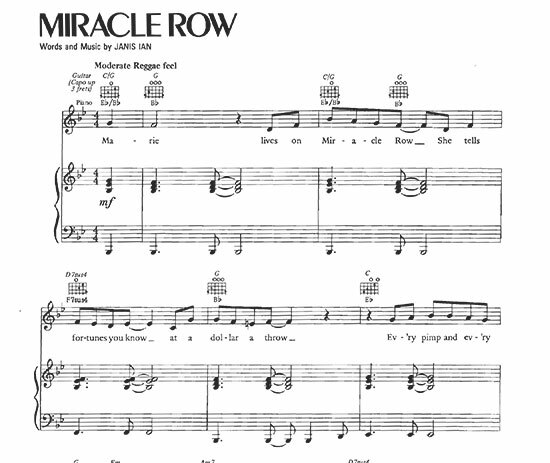 A digital copy of the single sheet music for "Miracle Row" from Miracle Row. Out of print in the original form, this is now the only way to get this chart. Includes guitar, piano and vocal notation. This sheet music is delivered in Adobe PDF format. You will need Adobe Reader or Adobe Acrobat to view it or print it. There will be a download link after checkout. You'll also receive an e-mail containing the link.